Originally from Quito, the Ecuadorian capital, Juan Manuel Correa races under the flag of the United States. 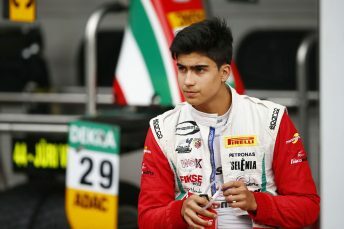 He will become the first Ecuadorian driver to compete in the Castrol Toyota Racing Series in its 14-year history, when he starts at the first round at Ruapuna Park, Christchurch, on January 12-14. Florida based Correa has competed in Formula 4 in Europe for the last two years, taking in both the Italian and German Championships. In 2016 the now 18-year-old won three races in Italy and scored another podium place along with two pole positions and two fastest race laps to finish sixth in the championship. A single podium in Germany saw him finish tenth in that series. This year Correa concentrated on the German Championship scoring a single podium and fastest lap to finish ninth in the series, while he only had six races in the Italian series. Correa finished his season by competing in the last four rounds of the GP3 series which is a curtain raiser to the Formula One Grand Prix. Correa came up against Christchurch’s Marcus Armstrong this season, where Armstrong was runner-up in Germany and won the Italian Formula 4 title in his debut season. Like most young drivers, Correa started his career in karting, where he competed in the United States between 2008 and 2014, with success at state level events.